In today’s NHL rumor rundown, there are questions surrounding Erik Karlsson out of San Jose, news on Jake Gardiner out of Toronto and questions about Justin Williams future in the NHL. Is Nashville going to land a college prospect and will the New York Rangers needs a new President? What Will Happen With Karlsson? 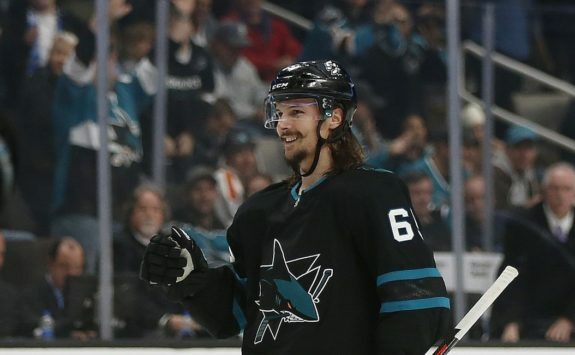 Chris Johnston of Sportsnet is reporting that if defenseman Erik Karlsson doesn’t re-sign with the San Jose Sharks, there is talk he could be looking for a seven-year contract extension around $12 million per season with another team. There is no report as to what exactly Karlsson is expecting from the Sharks but it has to be assumed that the number is quite different. Johnston didn’t go into detail about how any negotiations with the Sharks were going at this point but there has been speculation Karlsson is not totally sold on staying put. 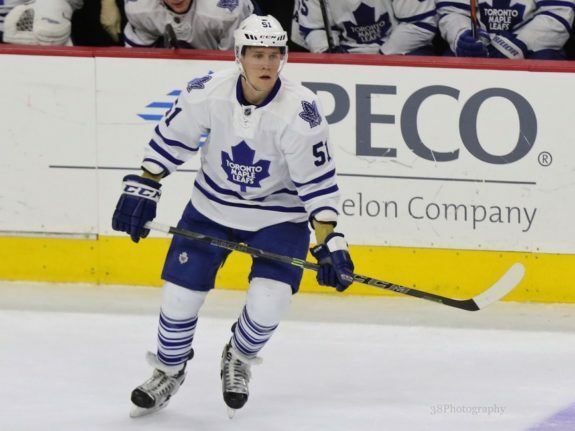 Despite injury issues, the reality of Jake Gardiner’s situation in Toronto is that the Maple Leafs likely cannot afford to keep the offensively-gifted defenseman. Johnston also notes that Gardiner could be looking for a long-term deal in the $6.5 million range and if so, that’s probably too rich for the Maple Leafs. He’s been dealing with a disc issue in his back that could worry some of the potential suitors who might have otherwise been interested. A long-term deal at more than $6 million per season will be seen as a massive gamble for some if Gardiner’s back issues persist. 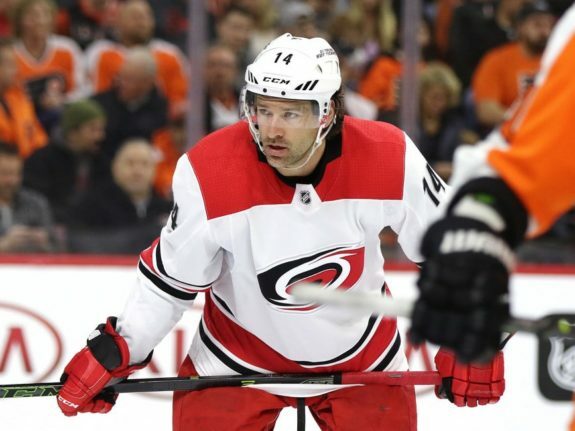 Justin Williams: Done or Keep Going? When Carolina Hurricanes forward Justin Williams signed with the team in 2017, it was likely assumed he’d finish out the term of his contract and then potentially call it a career. That would have come to a close this season. Things may have potentially changed. If he does stay, it is expected he would only do so with the Hurricanes and at over 35 years of age, the team would probably only offer an incentive-based contract for a single season. Dave Isaac of the Cherry Hill Courier-Post reports that the Philadelphia Flyers will once again try to bring 60-year-old Joel Quenneville as the next head coach of the team this offseason. A deal with future Hall of Famer Joel Quenneville fell through in December, but the Flyers are expected to try again this offseason despite the admirable job Scott Gordon did getting them from the league’s basement to contending for a playoff spot in late March. Sportsnet’s Elliotte Friedman reports (Twitter link) that Nashville is closing in on signing winger Lukas Craggs to an entry-level deal. BGSU hockey has reported a similar outcome. Craggs just completed his junior season with Bowling Green State University and while he’s not an offensive dynamo, he did have 25 points in 35 games this season and led the NCAA in penalty minutes with 118. There’s some bite and skill to his game. There is no word on whether or not the Predators are willing to let him burn the first year of his entry-level deal this season. Bob MacKenzie is reporting there is word Glen Sather might step down to an advisory role with the New York Rangers. If so, it would require New York to look for a new President Of Hockey Operations.